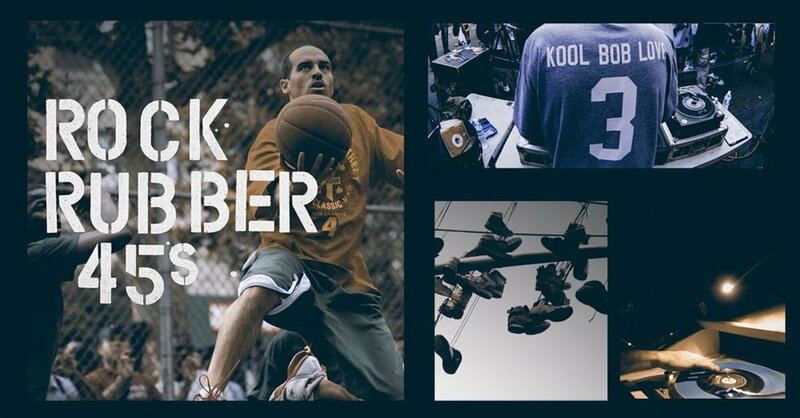 KRSM Radio is excited to host the Twin Cities’ premiere of ROCK RUBBER 45s, the new movie by legendary radio host, basketball enthusiast, and film director Bobbito García. Featuring: Lin-Manuel Miranda, Rosie Perez, Stevie Wonder, Questlove, Patti Labelle, Chuck D, Chris Paul, Eddie Palmieri, Louie Vega, Raekwon, Talib Kweli, Spike Lee, Kobe Bryant, Magic Johnson, and many many more…. ROCK RUBBER 45s is a cinematic odyssey exploring the connectivity of global basketball, sneaker, and music lifestyle through the first-hand lens of authentic NYC culture orchestrator Bobbito García. The film explores García’s youth dealing with mistreatment, educational quandaries, identity, and loss as well as his ascension to self-determination as an adult freelance creative. The ballplayer/author/DJ/filmmaker has carved an independent career that has inspired millions throughout the world, and has affected the growth and direction of the footwear, hip hop, and sports industries in the process. NYC native and world-renowned DJ Bobbito García is the critically acclaimed author of “Where’d You Get Those? NYC’s Sneaker Culture: 1960-1987” (Testify Books). The former NY Knicks/MSG Network halftime reporter was the voice of EA Sports’ popular NBA Street video game and TV host of ESPN’s “It’s the Shoes” series. In 2007, Nike released seven co-designed Air Force 1 sneakers bearing his signature. As an award-winning filmmaker, Garcia has directed three documentaries, Doin’ It In The Park: Pick-Up Basketball, NYC; Stretch and Bobbito: Radio That Changed Lives; and Rock Rubber 45s. Currently, “Kool Bob Love” produces his tournament Full Court 21™ All World in four continents, and co-hosts NPR’s “What’s Good With Stretch And Bobbito” podcast. KRSM is a low-power FM radio station based out of the Phillips neighborhood in South Minneapolis. Broadcasting at 98.9 FM, this is a hyper-local platform for amplifying the voices, stories, cultures, and conversations happening in our neighborhoods. Their focus is on communities that are marginalized, misrepresented, and erased by traditional media. For example, their broadcast schedule features shows in six different languages (English, Spanish, Somali, Ojibwe, Hmong, and Haitian Creole), and they air nine hours of programming each week by Indigenous hosts. With recording equipment available for loan, over 200 free media skills training classes each year, and a studio outfitted with audio editing software, KRSM is set up to help train the storytellers and community voices of tomorrow. And they have several programs (Student-Powered Radio, Community DJs, Southside 60) designed to help bring the diverse voices of our Southside neighbors to the airwaves. KRSM is located at the Waite House Community Center, and it is part of Pillsbury United Communities’ media initiative which aims to provide a platform for raising up stories of the community. Designed in partnership with Hope Community, Voices For Racial Justice, Little Earth of United Tribes, Main Street Project, and the Native American Community Development Institute, as well as a volunteer base of over 100 neighbors, KRSM officially launched in November 2017.